This necklace has a pendant that is about 2 " x 1 1/2". The round sterling silver piece has a hand stamped design. 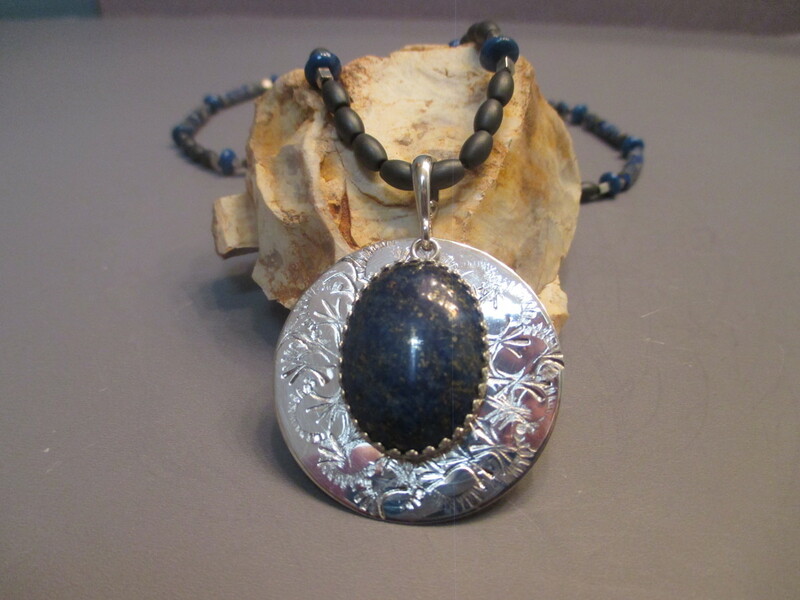 A pretty 25x18mm bezel set Lapis is attached with the bail which will give some movement when wearing. The beaded necklace has matte Hematite and Lapis beads . Small square silvertone beads accent the gemstone beads. It is about 24" long with a lobster clasp. The pendant can be removed easily so you can wear the beaded necklace by itself if you want. One only !